Future civil engineer? Here's the toy for you! 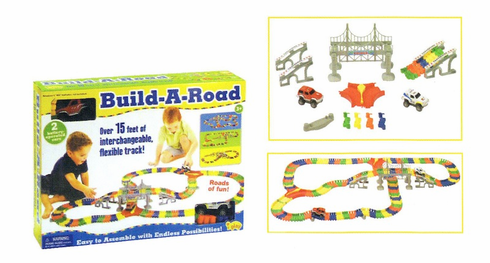 Build-a-road gives you all the practice you'll need! includes 15 feet of track, bumps, and a suspension bridge. Also includes 2 battery powered cars.